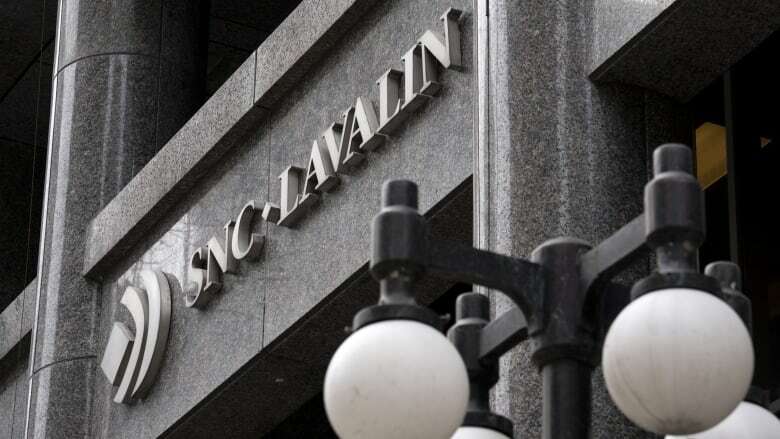 SNC-Lavalin, the company at the centre of a political scandal engulfing the Liberal government, has lost its bid for a judicial review of the director of public prosecution's decision to proceed with criminal prosecution of the company on corruption charges. SNC-Lavalin, the engineering firm at the centre of a political scandal engulfing the Liberal government, has lost its bid for a judicial review of the Director of Public Prosecution's decision to proceed with criminal prosecution of the company on corruption charges. Today's court decision means the Montreal-based engineering and construction firm will likely only get a deferred prosecution agreement (DPA) now if Minister of Justice and Attorney General David Lametti overturns the public prosecutor's Oct. 9, 2018 decision. The company does have the right to appeal the decision to the Supreme Court. The court ruling by federal Judge Catherine Kane says the decision by the director of public prosecutions is not an administrative decision but an exercise of prosecutorial discretion, "which is not subject to judicial review, except for abuse of power." A remediation agreement, according to the ruling, is defined as "an agreement, between an organization accused of having committed an offence and a prosecutor, to stay any proceedings related to that offence if the organization complies with the terms of the agreement." In a statement, SNC-Lavalin expressed disappointment with the Federal Court's decision. "We applied for judicial review in the hopes that such a review would elicit the reasons for the decision taken by the Director of Public Prosecutions not to offer SNC-Lavalin a negotiation of a remediation agreement," said spokesperson Nicolas Ryan. "Our objective was to negotiate a remediation agreement that would have been both in the public interest and in the interest of our innocent stakeholders: our employees, customers, shareholders and pensioners. SNC-Lavalin will vigorously defend itself against the charges in court if no remediation agreement is possible." Lametti's office declined to comment. "The Public Prosecution Service of Canada is a body which operates independently of the Department of Justice. Given that the matter is in its appeal period, it would be in appropriate to comment," said spokesperson Célia Canon. Former justice minister and attorney general Jody Wilson-Raybould has alleged she faced intense political pressure and veiled threats from various government officials to overturn the public prosecution director's decision to proceed with criminal charges. "In the specific question of a DPA, that is the attorney general's decision to make," he said. "That is what I have been consistent on for many months. And the attorney general will make that decision." Conservative Leader Andrew Scheer said companies must meet multiple conditions to be eligible for a DPA. "It is not up to politicians in Ottawa to determine whether or not a company has reached those criteria. It is up to our court officers, our prosecutors, ultimately judges to determine the fate of companies that are accused of these very serious crimes," he said. Scheer said Conservatives will introduce a number of motions to get to the bottom of the matter. But they're not planning to table a motion of non-confidence in the government. He has called for an RCMP investigation and for Trudeau to resign, while the NDP has called for a public inquiry. Trudeau was also asked if Philpott and Wilson-Raybould can remain in the Liberal caucus. He said they've both indicated they want to remain in the Liberal Party and that they share the government's values and objectives when it comes to economic growth, reconciliation with Indigenous people and the environment. "Obviously there are going to be reflections and discussions but I will remind people that we are a party that values diversity of opinions and perspectives," he said. Opposition Conservative and NDP MPs on the committee wrote a letter demanding an emergency meeting to discuss their request to "study developments in the accusation that the prime minister and his closest political allies conspired to stop the criminal trial of a company accused of bribery." That meeting will take place Wednesday.